Gobble Gobble!!! Happy Thanksgiving Week! What food are you most looking forward to eating devouring on Thanksgiving day?!?! I love stuffing and mashed potatoes with gravy and sweet potatoes with marshmallows and pumpkin pie...I love it all! Actually the turkey is probably my least favorite believe it or not! However, I do like to make turkey salad with the leftovers - yum!! Here is my Sunday Scoop! *I have to get my plans out of the printer - short week this week!! 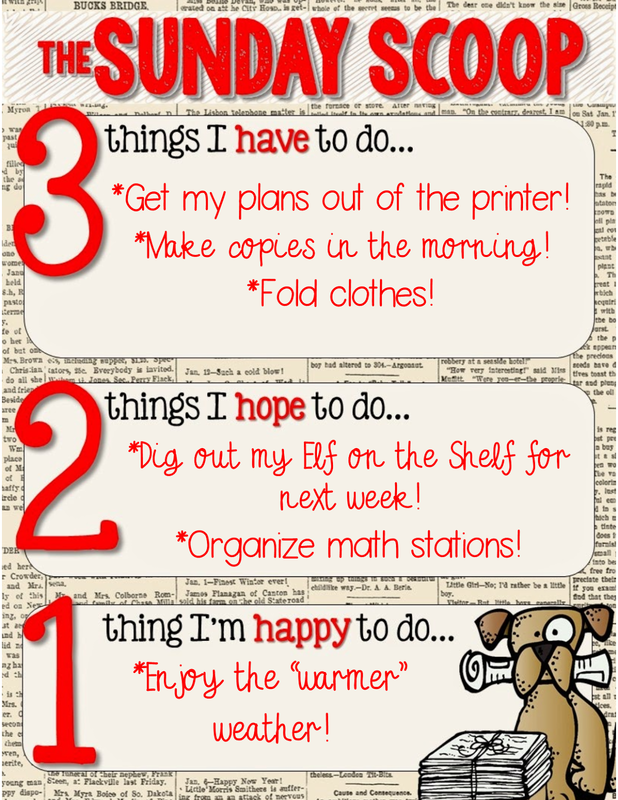 *I have to make a few copies in the morning - usually I try to make copies ahead of time, but I just found this activity so copying in the morning it is! *I have to fold laundry - as usual!!! *I am planning to start using my Elf on the Shelf next Monday so I really hope to dig it out this week sometime!! *I've been reading Debbie Diller's Math Work Stations book and I really hope to organize some math stations! *We have had some cold weather and it's supposed to be somewhat warmer this week! Looking for some Thanksgiving fun?? 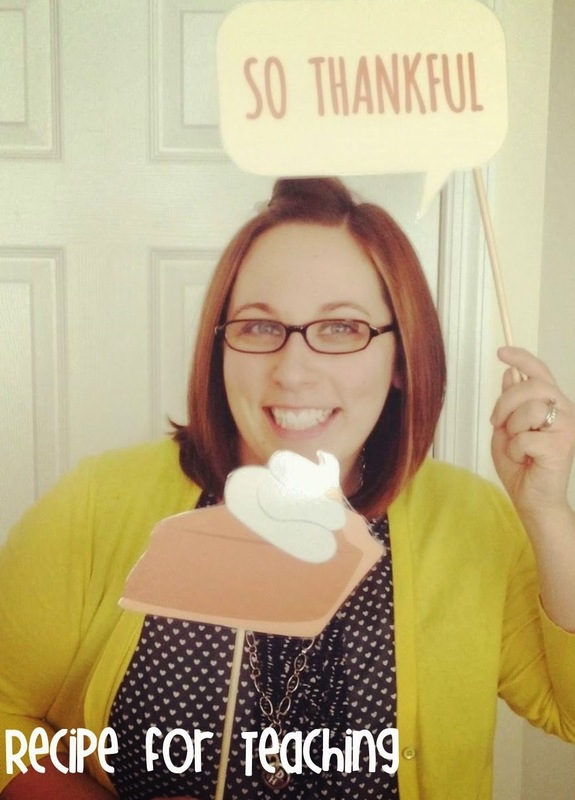 This website has the cutest Thanksgiving photo booth prop printables for FREE!! I printed them and laminated them to use last year - so much fun! Hope everyone has a wonderful week and Happy Thanksgiving!! Don't forget to link-up with Teaching Trio for your Sunday Scoop!